Latvia was one of the countries I was most excited to visit, beer-wise, as I knew I would be ticking off a country in the European Beer Challenge that has frustrated me with my inability to get it! Choosing which beer to review was almost impossible and you can see which one I chose here. The beer haul pictured below has 9 beers, but a few more found their way in by the end of the trip. Latvia has a good range of breweries and styles. I'd heard nothing but good things about Latvian beer before venturing to the country and right from my first Latvian beer on the plane to Riga I knew I was in a country which love their beer! I'll start my review of Latvian beer right at the beginning of my Latvian beer journey. Lacplesis Ekstra was the beer I had on the plane and a beer that I sampled in all three traditional formats (bottle, can and tap). It's a very drinkable Dortmunder style lager and a beer I can highly recommend even if you aren't a lager lover! Despite being a made up character, Lacplesis is regarded as a hero in Latvia. His name means "bear slayer" and he even has a public holiday named after him! 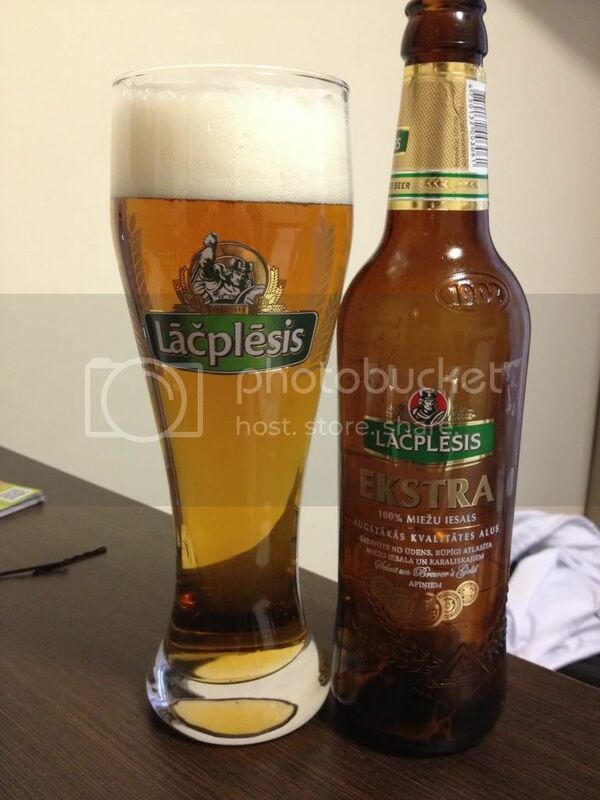 The Ekstra named after him is a sensational beer and worthy of carrying his name, but the standard Lacplesis is not a good beer by any means! It's a very sweet lager with almost no balancing bitterness, one to avoid! I'd really been missing some body in my dark beers, so was thrilled to find out that Latvia's dark beers are all real Porters! Cesu Porteris, pictured right, had a really strong roast flavour and was thick enough without being too thick. It was clearly a versatile Porter as I enjoyed it on a 32 degree afternoon! The can is awesome too! 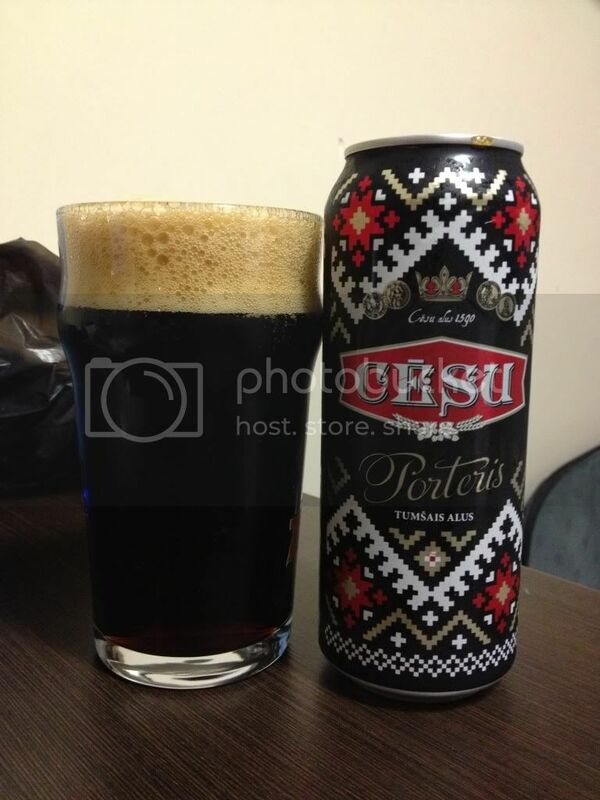 My favourite Latvian beer was Cesu Nefiltrētais, an unfiltered lager. It was just on a different level to any of the other Latvian lagers. A special mention should also go to Aldaris' Mezpils, which I thought was an exceptional pilsner with plenty of hop bitterness. If you are in Latvia I would recommend looking out for Uzavas, a very interesting yeasty beer, and the Bauskas Specialais range. Both the Gaisais and Tamsais are excellent. As for beers to avoid; the aforementioned normal Lacplesis and Zelta Check, it looks like cat piss and taste marginally worse! As in Lithuania Grimbergen was the most widely available of the international beers and I did partake in a Dubbel at a restaurant with no other dark beers. 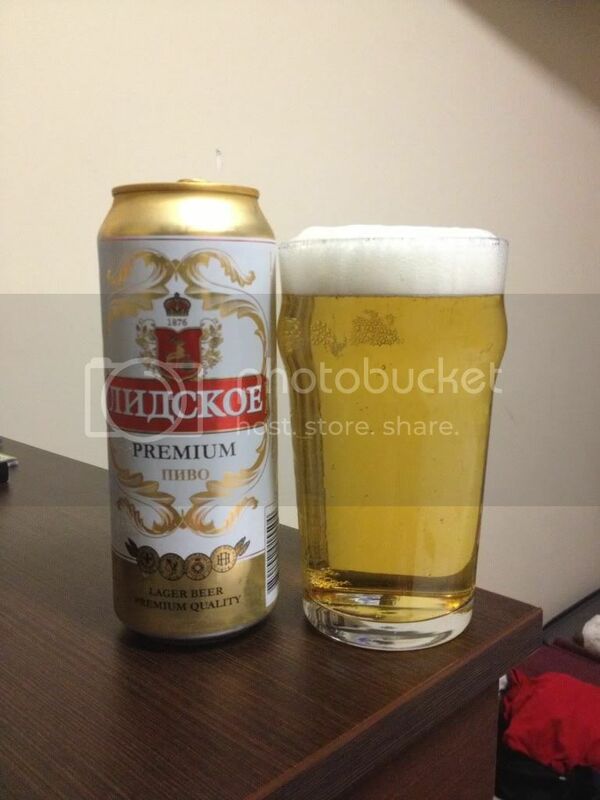 I also got to try another Belarussian beer, Lidskoe Premium. It was a clean pilsner if maybe a little simple. For the price though it would be worth trying 1 or 6. Latvian beer gets a big tick from me. Overall the quality is excellent with only the odd macro dud. I almost completely ignored the countries biggest brewery Aldaris in this review, but all of their beers are okay, particularly their tap range. That's something else I should mention, Latvian's love their tap beer and the range of beers available on tap is excellent everywhere in Riga and their were a number of other beers I could have mentioned. As a beer holiday destination Latvia would be an awesome place! 4 weeks wouldn't have been enough time to cover all the readily available Latvian beers let alone only 4 days!